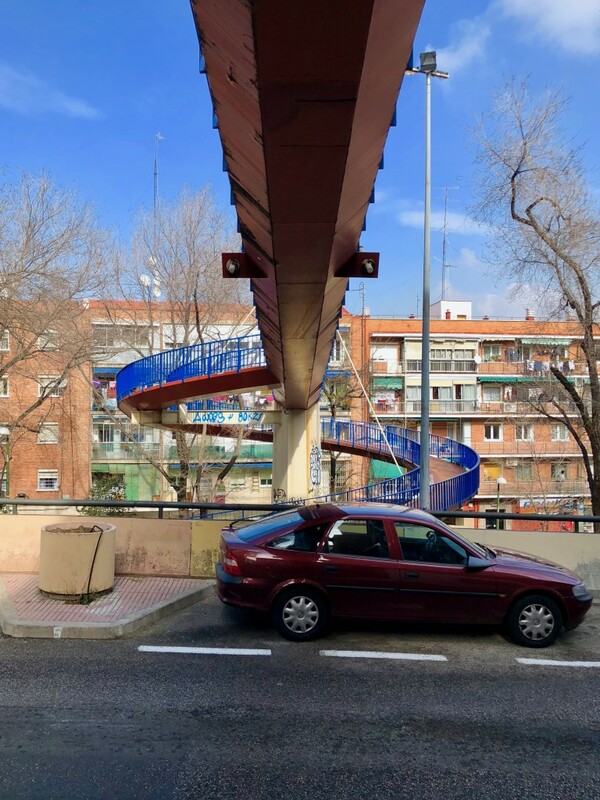 Since returning to Madrid from Asturias (again) I have been busy at work (again) – I feel I don’t really need to go through all that with you, so lets move swiftly on to the more interesting stuff which I’ve been up to recently, including something I never thought I’d wind up attending… Let’s get stuck in! First up I headed out to spend a day in the city with my friend Loredana, and we’d agreed to meet to watch a performance of the Catalan tradition of building castells, which are basically human towers to the top of which usually clambers a small child. Figuring it sounded safe and all I agreed to go along, but with me being the person I am I managed to sleep though my alarm and arrived at the plaza literally just as they finished disassembling their last creation. 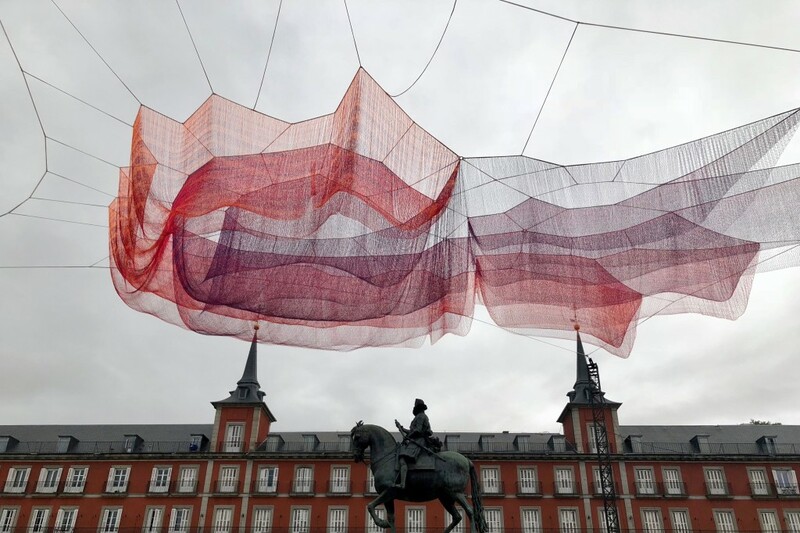 I wasn’t to be deflated however, and so in earnest we hopped on the Metro and embarked on a mini tour of some of our favourite spots in the city, including having pinchos at the Matadero and fooling around in the city centre. Also last week came one of my favourite days on the British calendar: pancake day. 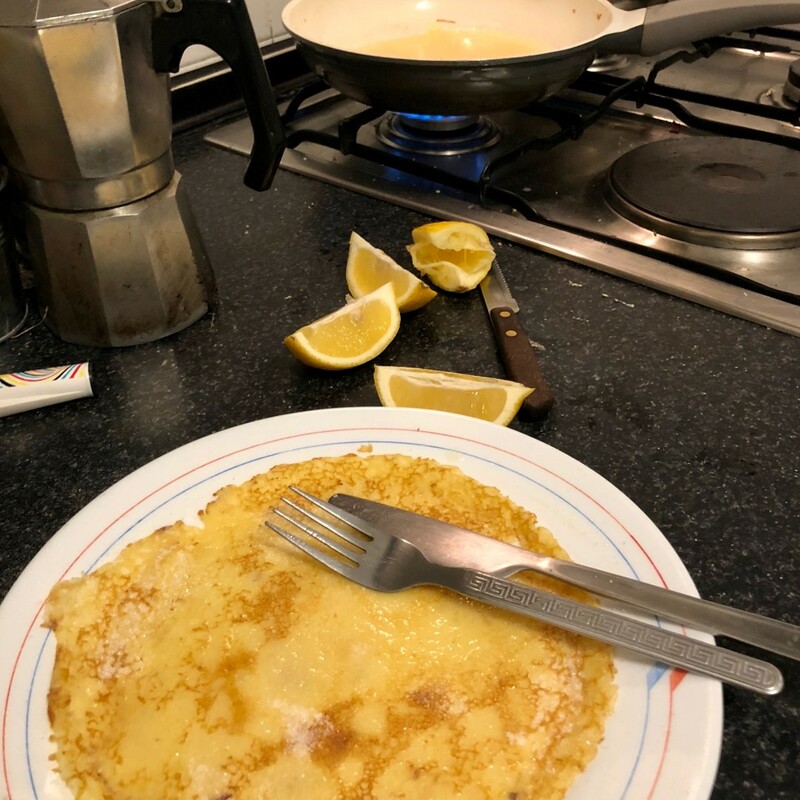 After the distressing realisation that it’s not something which is celebrated here in Spain, I marched myself down to my local supermarket, determined as hell that I would make my own pancakes by myself even if it killed me – the lack of electric whisk nearly did, mind you. Anyway, one dead arm, one pancake on the floor and one hot oil spilling incident later, I had made the first of my batch. Once the pancake flipping fun was all over it was time to clean up the oily mess which was the kitchen, as my ex-flatmate Giorgia was returning from Italy for the weekend to sit a couple of exams. Once those were done the two of us hit the town once more, heading out for another lovely evening of drinks and tapas and the world’s biggest plate of huevos rotos. 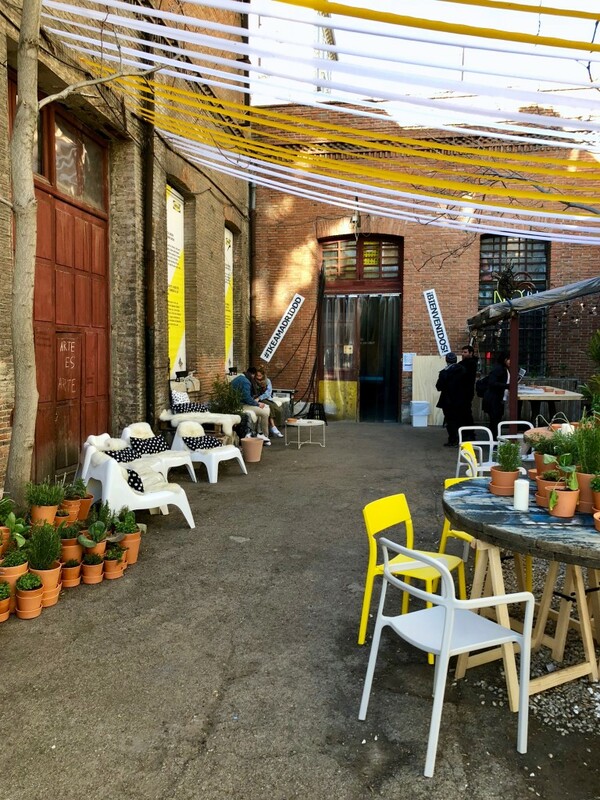 That weekend I also made a trip across the city to check out one of the events which was going on as part of the Madrid Design Festival, an exhibition run by IKEA which intrigued me seeing as I seem to spend half of my waking life there. 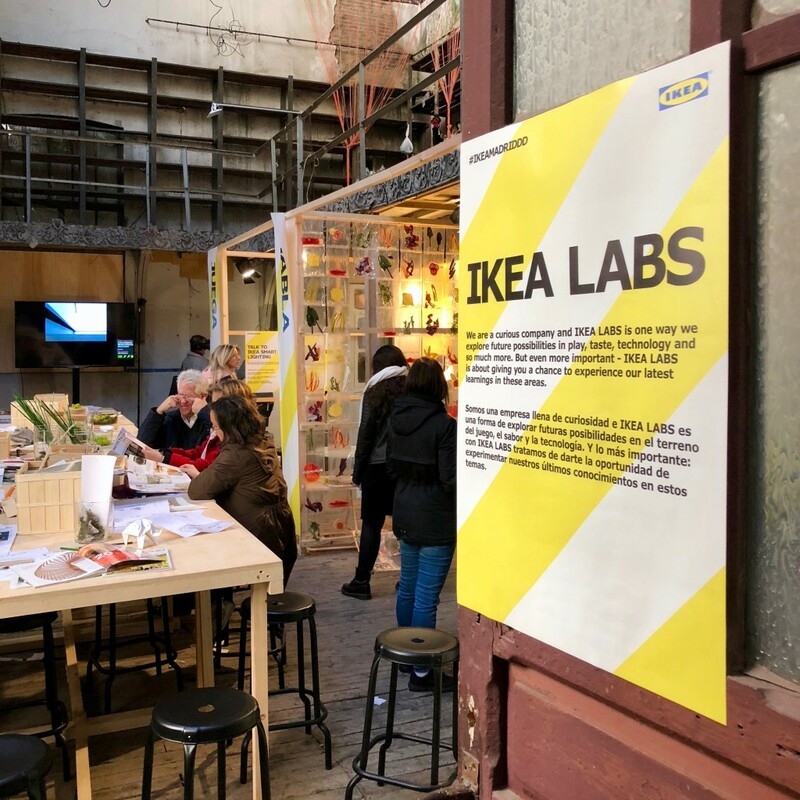 I headed to La Neomudejár and spent a good while poking around the cool exhibits, including up-and-coming IKEA products which have yet to be released – I felt like I had been accepted into some secret IKEA society. I was buzzing. It turns out that La Neomudejár is a cool abandoned warehouse space, and a location which contrasted perfectly with IKEA’s modern aesthetic and the colour scheme of white and vibrant yellow which they’d opted to plaster the place with. Anyway, moving on, and to something I never thought I’d find myself doing again: I went to watch a football match! Not a huge fan of football, I’ve only even been to one game, but my friends found some cheap tickets and so I agreed to tag along and see what all the fuss is about. This time however it wasn’t just a friendly game in Burnley, it was Atlético de Madrid! 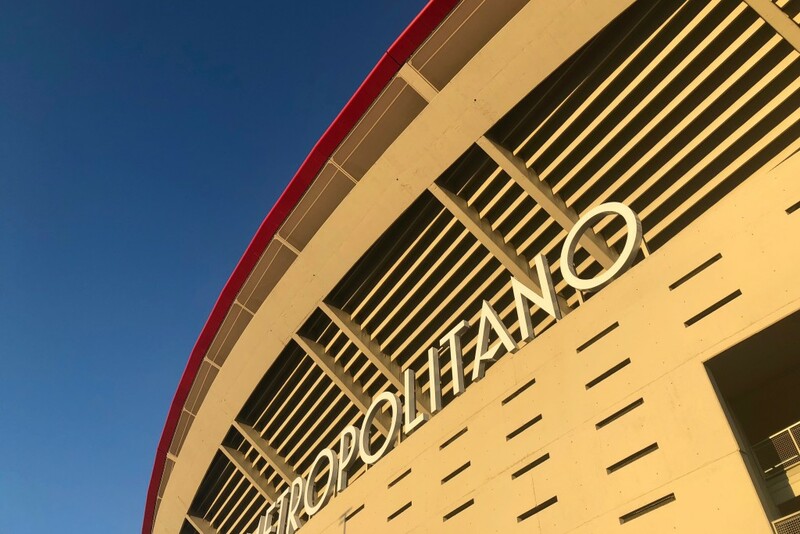 Once I’d discovered that they’d moved out of the infamous Vicente Calderón stadium at the end of last season, I hopped on the packed Metro and zoomed across to their new Wanda Metropolitano stadium in the far west of Madrid. Of course being more designer than I am football fan, I spent so much time gawking at the architecture that I forgot I should probably hurry up and find my friends so we could get seated, but we eventually made it inside. I headed straight to the bar for a hotdog and a beer, so you can imagine how frustrated I was once I was told that they only sold non alcoholic beer. I opted instead for a bottle of water because at least that could be reused later, but then they took the lid from that too for safety reasons – needless to say at this point I was super vexed. 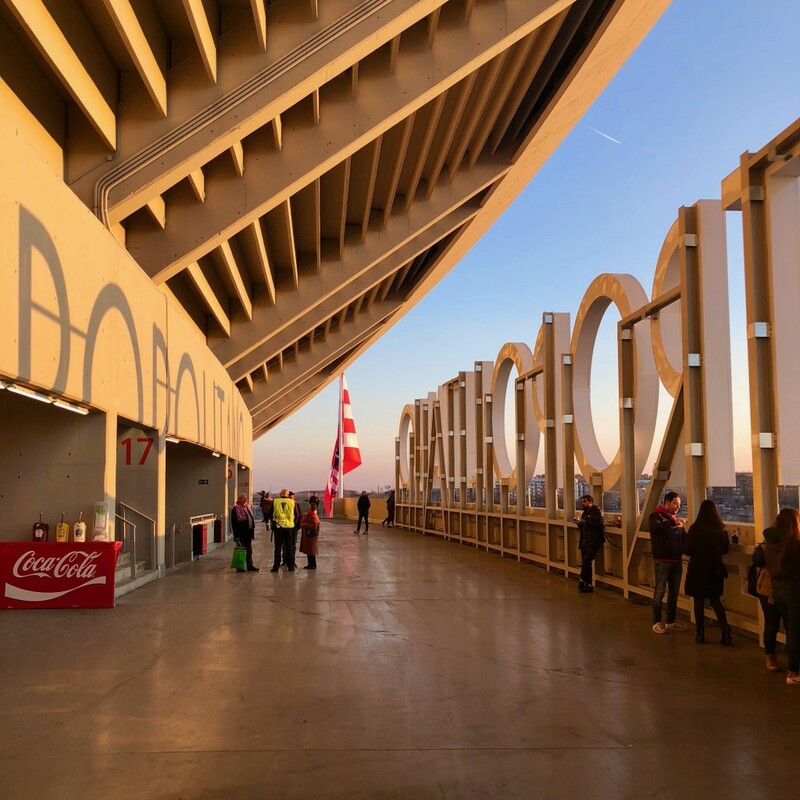 Eating some of my hotdog calmed me down, and so we then had a gawk out from the top of the stadium before taking a group selfie (which I look horrible in so I shan’t be sharing). Once we found our seats I started asking questions about the basic rules of football, which probably annoyed everyone, especially as we didn’t realise the match had started because we were so deeply into the Q&A session which had ensued. 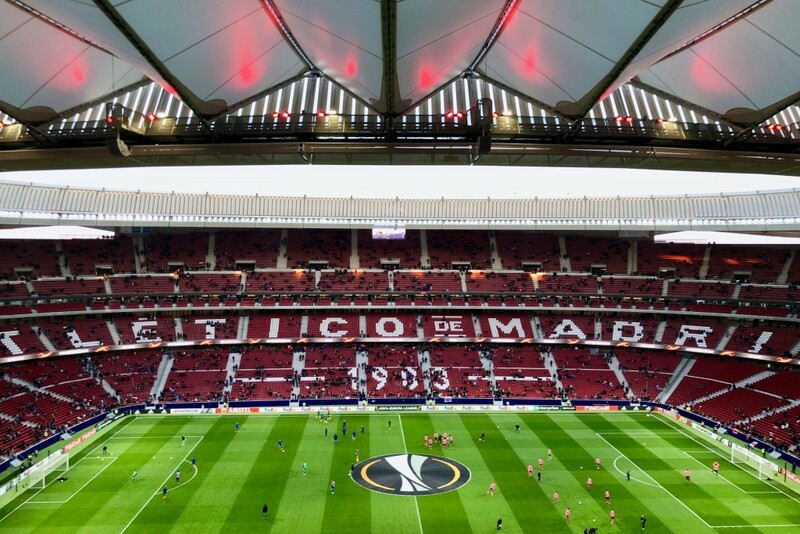 The Atlético de Madrid vs. Copenhagen game had begun, and just six minutes in Atlético managed to land a pretty decent goal, prompting the stadium to erupt with this rather catchy Atléti, Atléti, Atlético de Madrid chant. 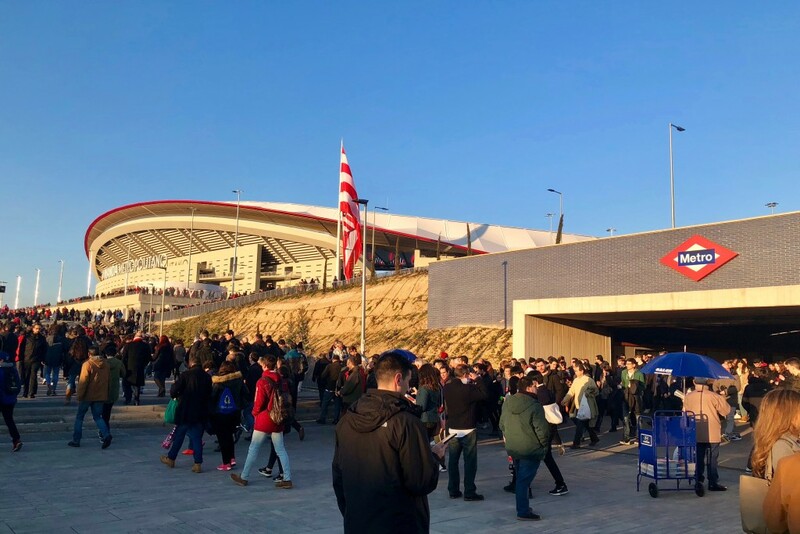 The rest of the game was just some people in neon shoes kicking a ball around some grass as far as I was concerned, and it was explained to me that as the outcome of the game didn’t really matter and so it seemed as though Atlético were just killing time. Despite this it did serve me well, as I learned some of the rules of play: for example I now know that “off side” doesn’t just mean someone kicked the ball into the crowd. My favourite moment of the match was when the ball rolled into a microphone on the side of the pitch and it fell over, but that will probably upset any football fans amongst you so we’ll move swiftly on. Just this evening I left work a little later after a meeting with a client, and instead of heading home to do my washing like I should have done as a responsible adult, I headed off to have coffee with my friend Napo. 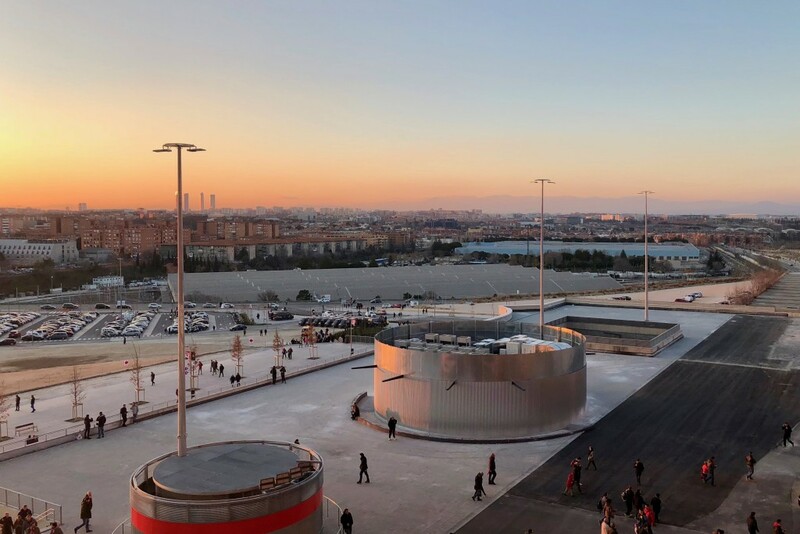 After a catch up we spontaneously decided to have a wander through the north of the city, visiting two museums which I’ve been meaning to visit since I first landed in Madrid over two years ago. 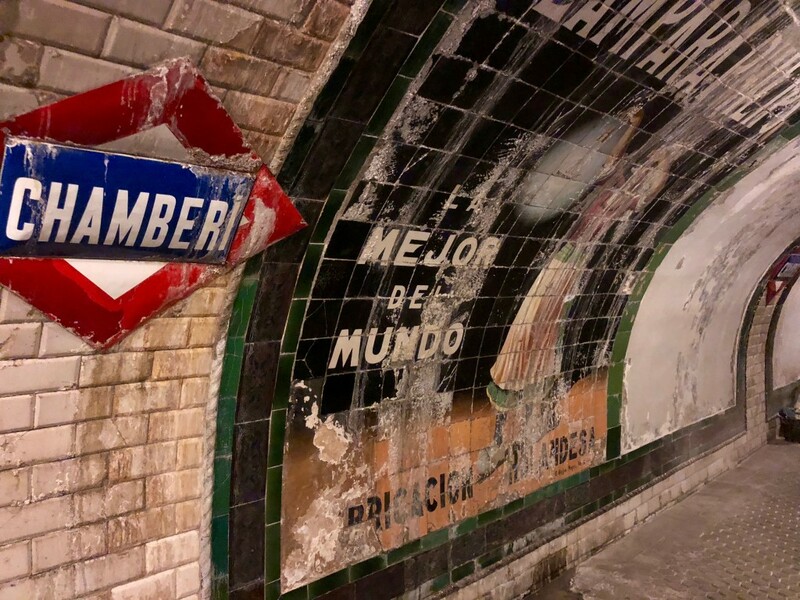 The first was the abandoned Metro station of Chamberí, which opened in 1919 and closed in 1966 when the length of the stations of Line 1 (the oldest) were being extended. 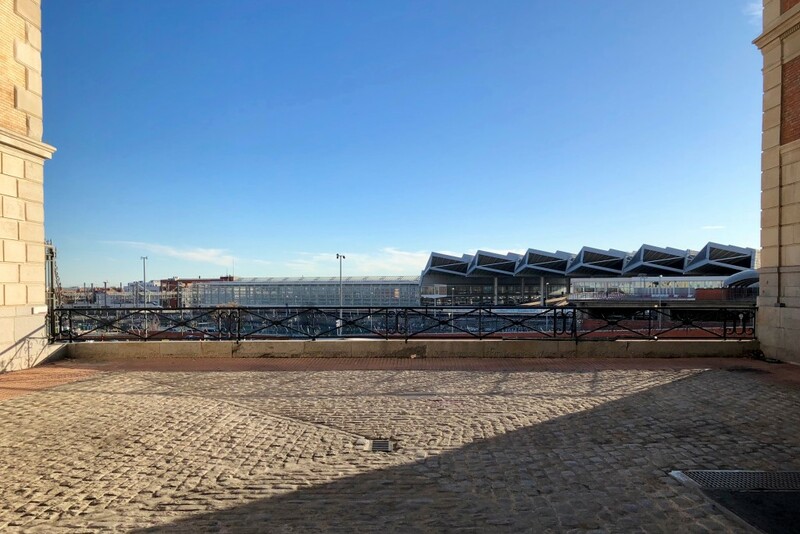 Technical restrictions and its proximity to neighbouring stations meant that it was easier to just close the station, and so it laid disused until 2008 when the city council made it safe to visit and opened the Andén Cero (Platform Zero) museum. 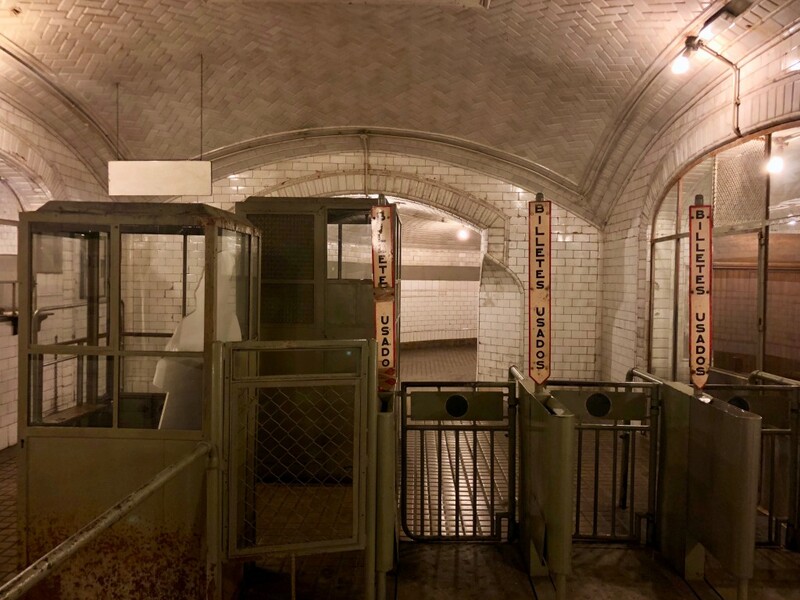 Walking down was quite the experience, as the tunnels and platforms have been perfectly preserved as if frozen in time. 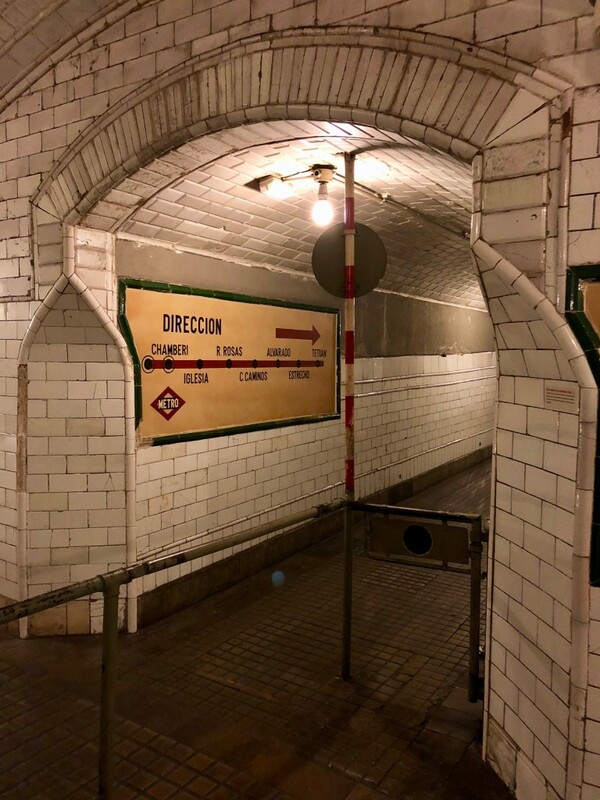 I was particularly enamoured with the hand-drawn lettering on the old signage, which harks back to the typography blog I wrote a few weeks ago, as well as the tile designs in the tunnels and on the platform. The trains still run along the platform as it remains to this day an active section of the line, and so we watched a few zoom past just inches behind the glass screens which separated us from the track. I’d like to visit this place again really soon and take some better photos, but as it was closing at 7pm we had to head out before we’d done all the poking around we wanted to. 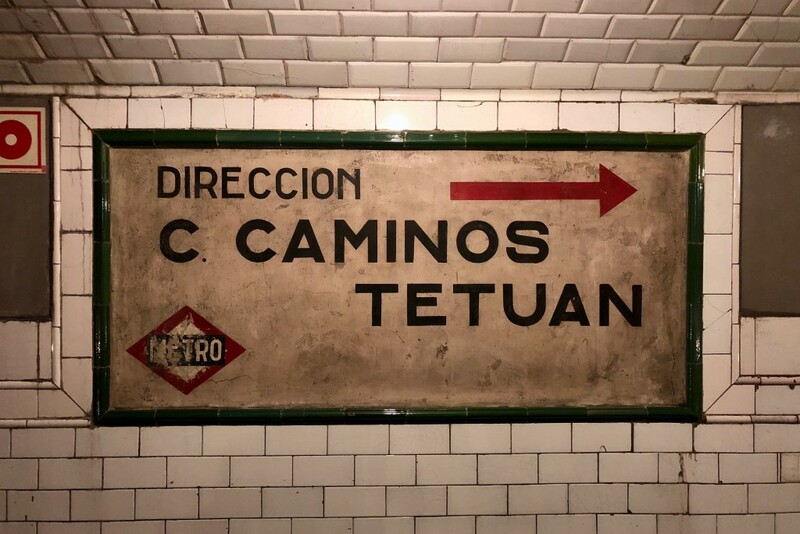 If you’re in Madrid, it’s free to go and well worth the short walk from any of the stations nearby! There was lovely old typography to be found throughout the station. After this we headed back towards the centre and to the Madrid History Museum, and spent almost an hour meandering through its zany array of exhibits. 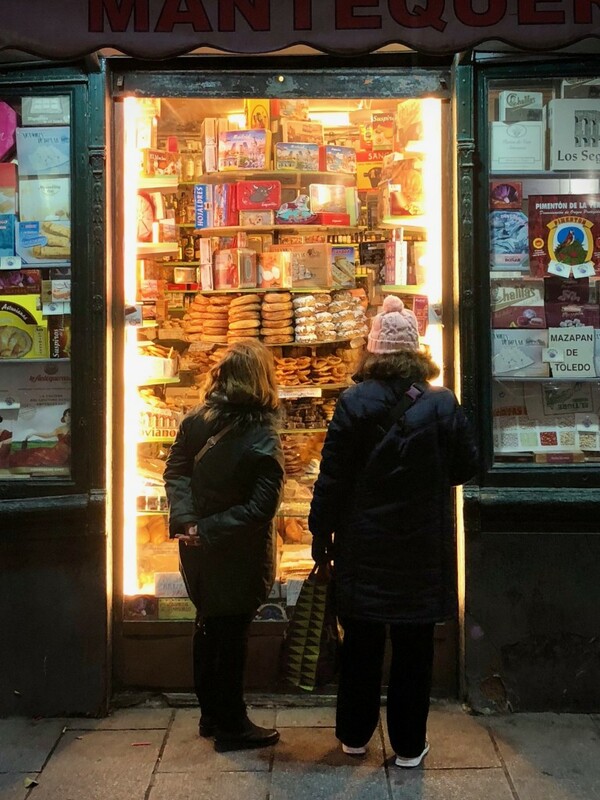 From ancient maps and artefacts to lavish baroque pottery and paintings, it proved to be really well thought out experience detailing Madrid’s past, and definitely worthy of a second visit – which will be necessary as we were kicked out of here also as closing time approached! The two of us aren’t to great at timing it would seem. This brings me to the here and now, as I’m back in my room preparing to start moving my things over to my new flat this weekend. I’ll have to wrap it up there though I’m afraid, as I ordered a burger and it’s just arriving. Hey, leave me be – it’s my last night so I have no food in. Or maybe I do have some food in the fridge but it’s healthy and unappetising. 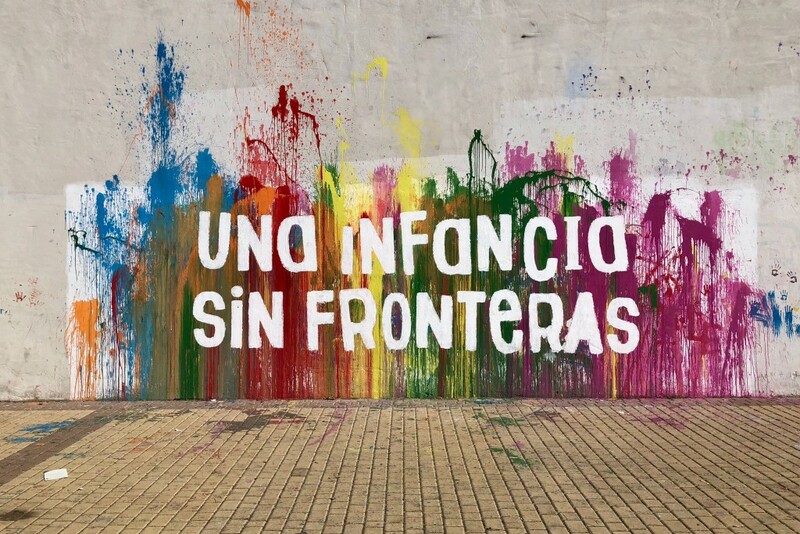 Either way, none of your business. I’ll be back soon with more ramblings!